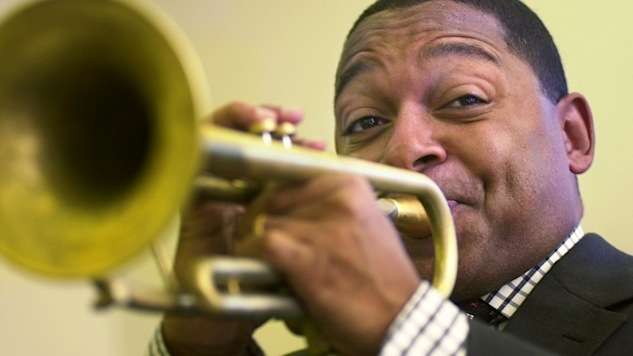 The 28-year-old trumpeter has just launched the first jazz program at NYC's Lincoln Center. Did you know that Paste owns the world’s largest collection of live music recordings? It’s true! And what’s even crazier, it’s all free—hundreds of thousands of exclusive songs, concerts and videos that you can listen to and watch right here at Paste.com, from Louis Armstrong to The Who to U2 to Wilco. Every day, we’ll dig through the archive for the coolest recording we can find from that date in history. Search and enjoy! Listen in as the trumpeter, then 28 years old, narrates an eight-minute rendition of “Twas the Night Before Christmas.” And while you’re here, take a peek inside our huge vault of exclusive jazz recordings going back 60 years.